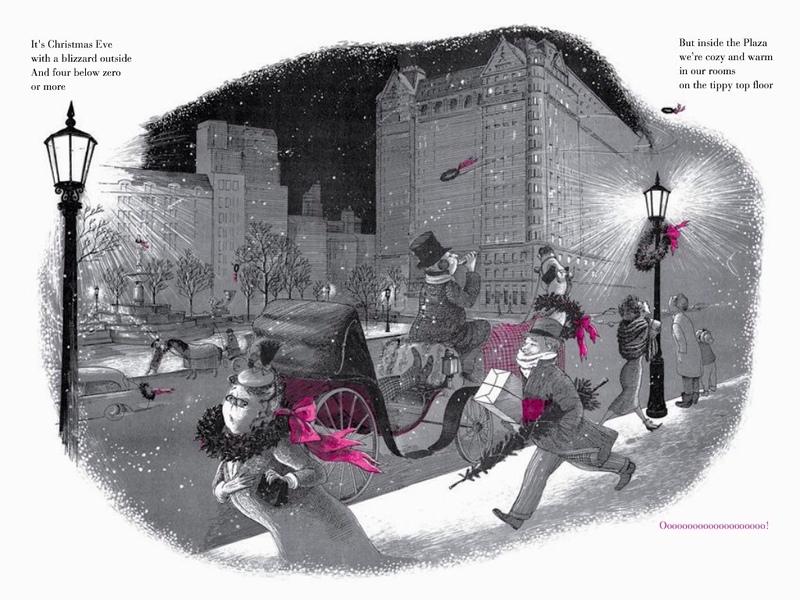 Let’s step out of the cold and return to the New York Plaza hotel once more to spend Christmas with its most famous resident, six year old Eloise. If you’ve not met her before, she’s the part feral product of wealth and delegated parenting, who may or may not be based on Liza Minnelli, who lived with the author while her mother Judy Garland was abroad. 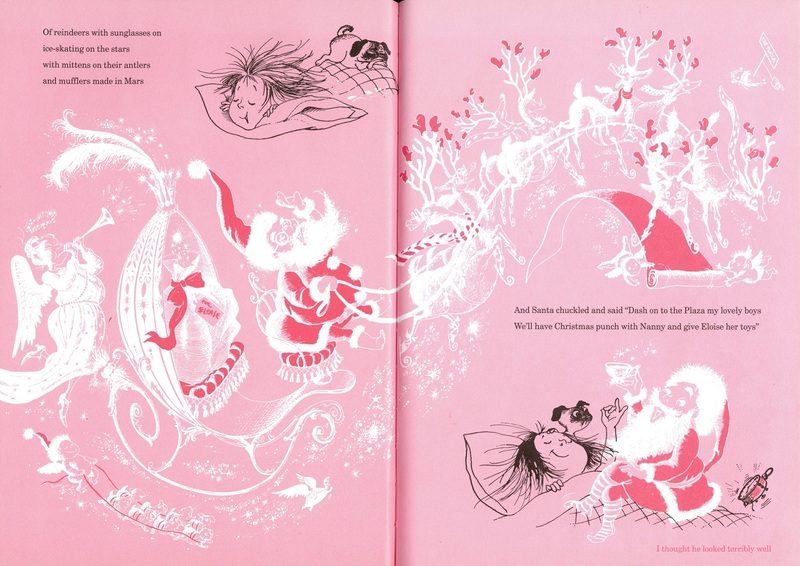 It’s a very modern premise for a children’s book of the 1950s, as is the freewheeling language of Kay Thompson and the crisp animated illustrations of Hilary Knight. 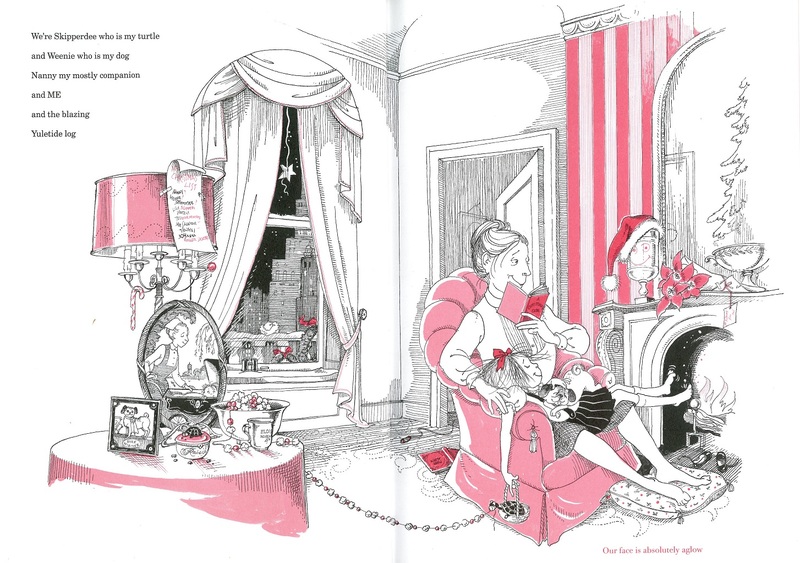 As a result the Eloise books haven’t aged a day since they were first published. 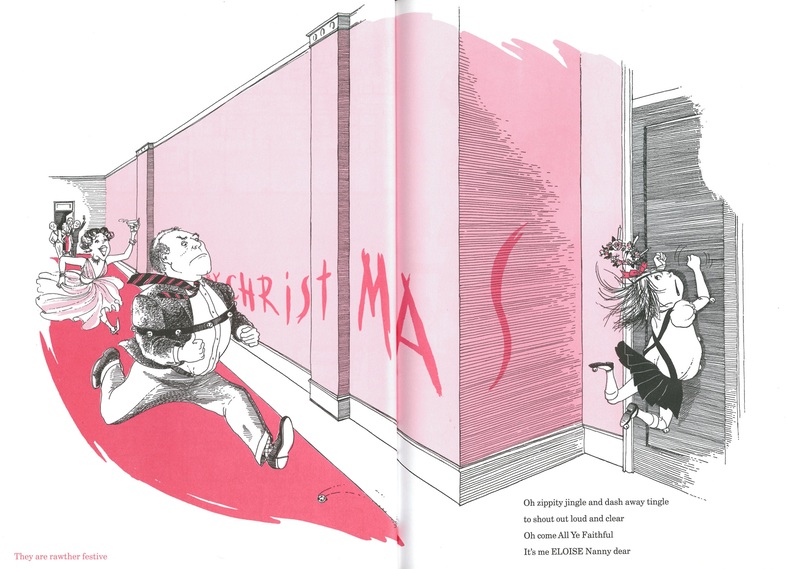 In Eloise at Christmastime our friend is once again on the loose in the endless corridors of the Plaza, as her mostly companion Nanny is busy getting ready for the big day. 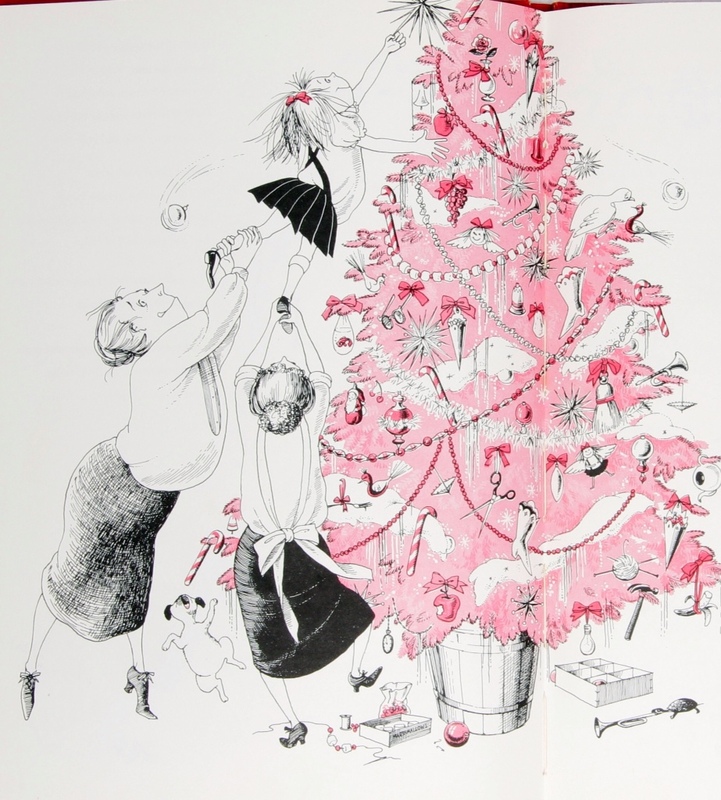 As any sane person knows the most fun is to be had on Christmas Eve, a day when mania mingles with good will and Eloise can be at her mischievous best. For Eloise this means decorating the walls of the corridors. And decorating the Christmas tree with half eaten apples, scissors and even a goldfish in a plastic bag. But when all the hard work is done Eloise has a rare moment of reflection. 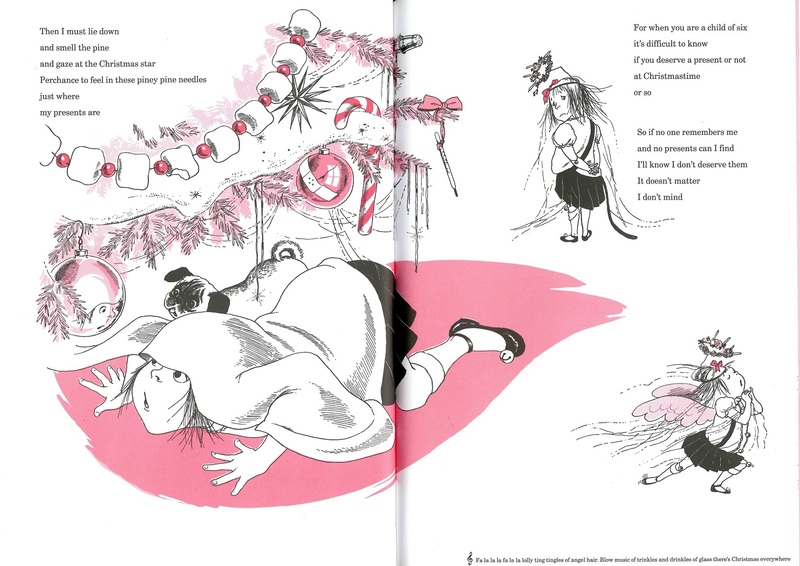 Santa’s naughty list casts a shadow over her fun and games. Despite her unchecked behaviour, Eloise is essentially a generous person, doling out dubious gifts for the long suffering staff and looking out for her favourite pigeon Emily as she prepares to give birth. 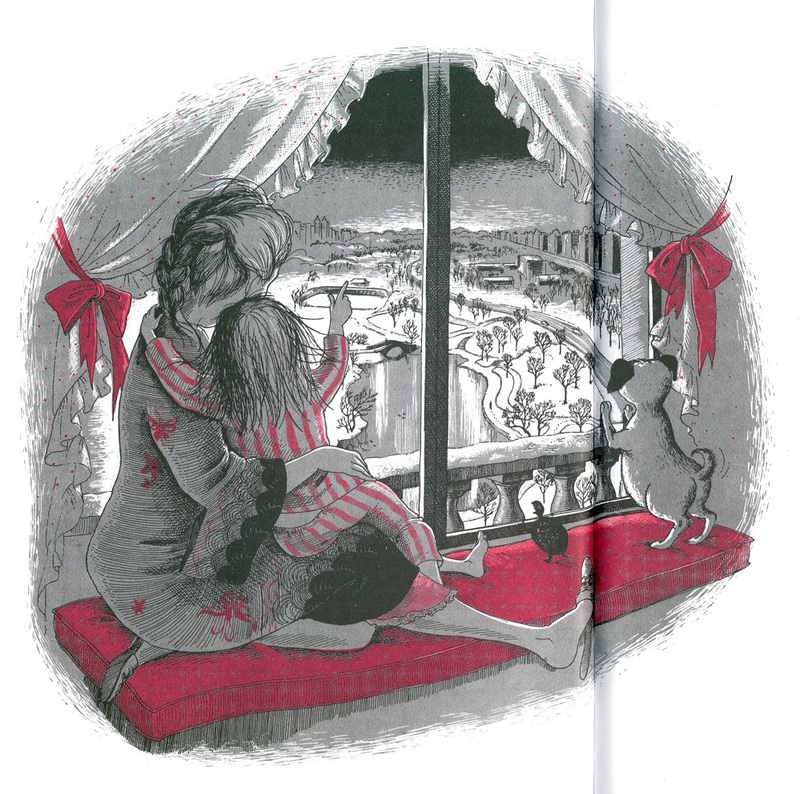 Most of all she has time for her absolutely best friend Nanny, with whom she shares a tender moment at the crack of Christmas morn, looking out over snow bound Central Park. 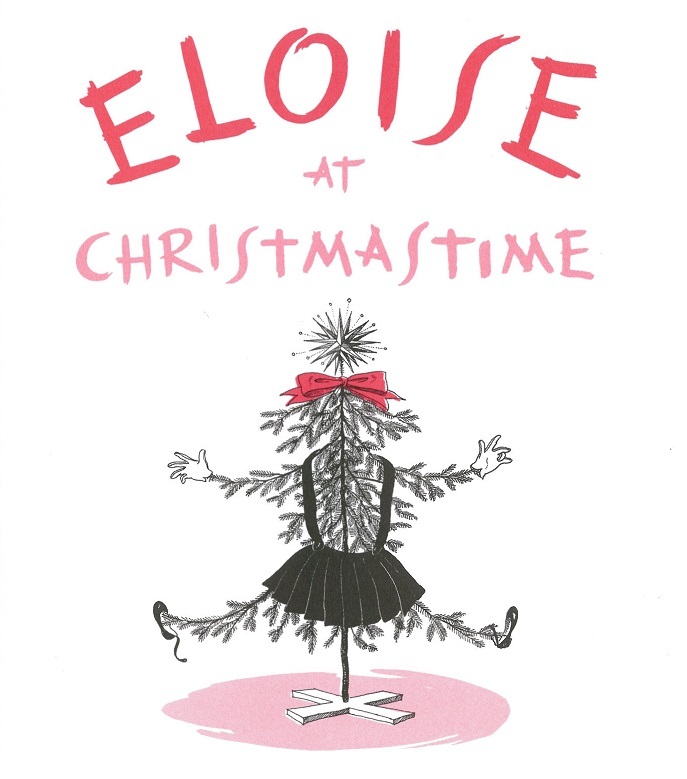 Tags: Eloise, Eloise at Christmastime, Hilary Knight, Kay Thompson. Bookmark the permalink. Splendid colors ! I love the contrast black/gray, white and pink ! A treat for the eyes !